Latest model A45 AMG Bi-Turbo 4Matic with the upgraded 280kw engine. 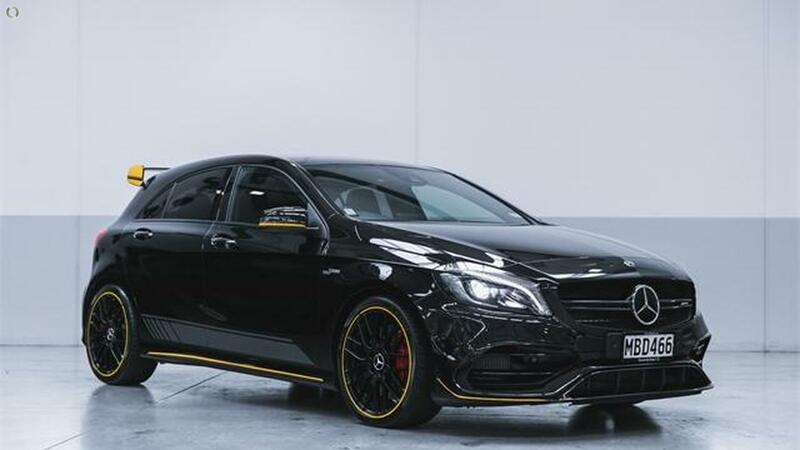 AMG Aerodynamic package and black multi spoke alloys also add to this impressive package, on top of COMAND navigation, keyless-go, AMG leather performance seats etc. NZ New with balance of three year warranty and service plan. Mercedes-Benz Botany is NZs newest Mercedes-Benz dealership. When you purchase a vehicle from us you can expect the best in every respect. We have a huge 20 car showroom, plenty of customer parking, and a team focussed on delivering the best possible experience to all of our customers. We have experienced full time business managers who work closely with leading lending institutions to get our customers the best possible rates; often less than what you can get from your bank. For more information please contact Mercedes-Benz Botany.